Home / Mens Football / Meet Markus! 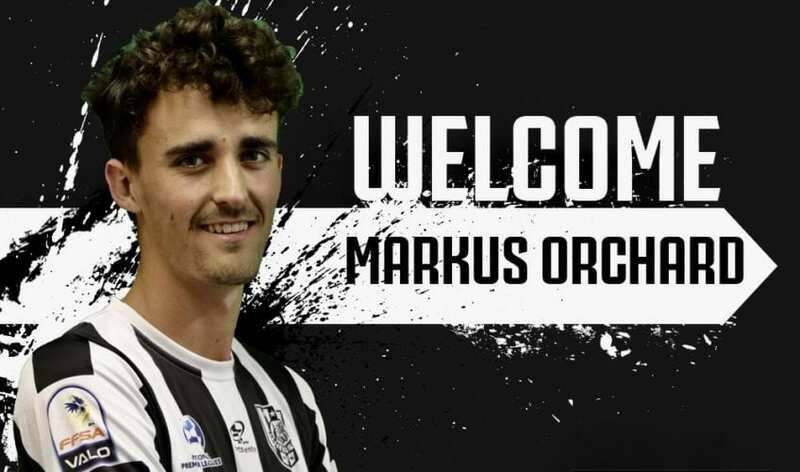 Adelaide City have reinforced their new-look defence with the signing of Markus Orchard. The acquisition follows last Friday’s signing of fellow centre-back Elliot Green in time for their pursuit of the club’s 18th championship at state level. Beginning his junior career in the North East Metro Junior Association with Para Hills, Orchard has spent his senior years with MetroStars and Modbury Jets. He has also spent time at the Australian College of Sport, working closely with new City coach Michael Matricciani and Senior Football Manager Adriano Pellegrino. After developing his skills at ACS Orchard felt it was time for a new challenge and ultimately, his relationship with Matricciani and Pellegrino brought him to City. “City is one of the biggest clubs in South Australia,” Orchard said, excitingly. When asked what City fans should expect of their new man, Orchard revealed that he is different to many central defenders of this generation. “I am a ball-playing centre-back – I love the ball at my feet,” he said. Orchard is a motivated and determined young player with a winning mentality, and he can’t wait to get started. But there are five words he prides his football career on. “Losing is not an option,” he exclaimed. City continue their pre-season with a game against South Adelaide next Thursday night at Adelaide City Park.